This is heartbreaking. 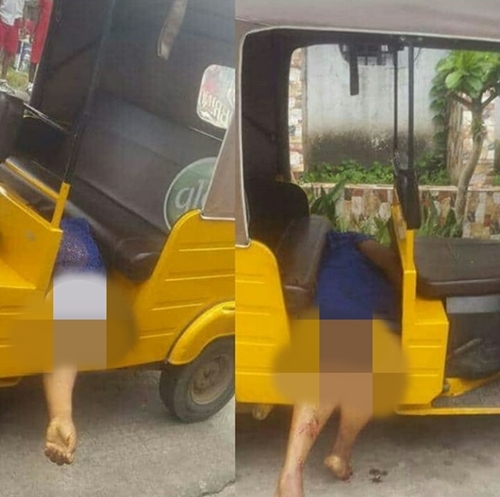 A fatal accident which occured along Ikot Ekpene road in Aba, Abia state, has led to the death of a pregnant woman and another passenger as they were crushed in a tricycle. 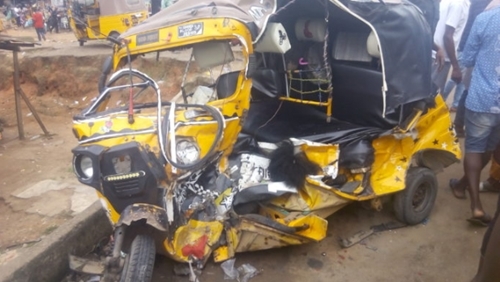 The incident happened yesterday after a haulage truck - which was being chased by revenue agents allegedly working for Aba South Local Area Council - collided with the tricycle, popularly known as Keke.